UPDATE: We’ve got two winners! Congratulations to Sonia and Shan – enjoy the festival! In recent years, music festivals have seemingly and very quickly become a summer staple in British Columbia. The Live at Squamish festival is set to end this summer on a stellar note with two days of incredible music on three stages. The jam-packed roster includes new wave legends Devo, Tokyo Police Club, The Decemberists and the pride of Quadra Island, Mother Mother. This one-day contest ends at 8 p.m. tonight with the winners to be announced shortly thereafter. Please note that the winners will be required to pick up their passes directly from the JP Scion dealership in North Vancouver. ← What’s Your Island Style? I would love to see Dirty Vegas! Man oh man I dig that Michael Bernard Fitzgerald kid! 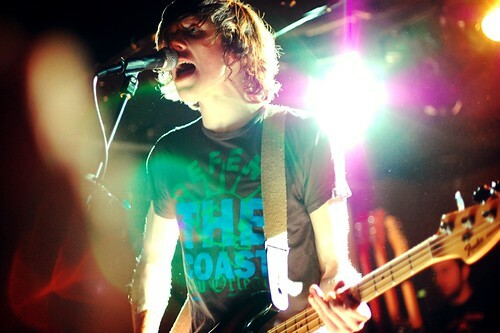 Tokyo Police Club for me, would love to see them. Matthew Good would be awesome to see with Mother Mother again. You Say Party would be a lot of fun to see! I’d love to see Tokyo Police Club, my favourite band! Hoping to see Tokyo police club live!